Susan Elkin reviews Noralee Frankel's Stripping Gypsy, a new biography of stripper Gypsy Rose Lee, in the Independent; there are brief mentions of Lee's sister, actress June Havoc, and Lee's writing of "two thrillers." 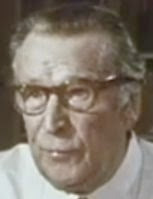 However, the role of mystery author Craig Rice in the creation of the first one, The G-String Murders (1941), is still debated today. About the image: Barbara Stanwyck in Lady of Burlesque, film adaptation of The G-String Murders (1943, dir. William Wellman). 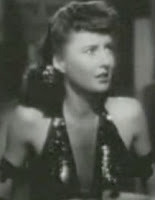 To see Stanwyck perform one of the best song-and-dance numbers in the film, including some amazing front splits, go here. In the Guardian, author Sarah Waters (The Little Stranger, etc.) looks at the real case behind Josephine Tey's The Franchise Affair (1948). The multifaceted Max Brand, aka Frederick Schiller Faust, was born today in Seattle in 1892. Poet, creator of Dr. Kildare, celebrated Western author (Destry Rides Again, etc. ), screenwriter, and, as this collection from Crippen and Landru reveals, frequent contributor to the pulps, Brand became a war correspondent and was killed in action in Italy in 1944. To see two Brand-related covers, go here. LAPL online film poster exhibit. The Los Angeles Public Library has now posted some highlights from its past exhibition, "Hollywood Movie Posters." Dates range from 1913 to 1943. About the image: Murders in the Zoo (1933, dir. A. Edward Sutherland), part of the LAPL's "Hollywood Movie Poster" exhibition. NPR's Blog of the Nation, inspired by an item in the New York Times, notes that Supreme Court Justice nominee Sonia Sotomayor is a Nancy Drew fan and once hoped to be a detective. Georges Simenon's The Rules of the Game. The Neglected Books blog looks at Georges Simenon's US-set novel The Rules of the Game (first published as La Boule noire, 1955). The role of military intelligence, firsts for military women, military medicine in TX. a history of military medicine in Texas. About the image: Civil War surgeon and Medal of Honor recipient Mary Walker. History of Medicine, NIH's National Library of Medicine. The post on In Reference to Murder regarding the exhibition on Arthur Conan Doyle and Joseph Bell at the Royal College of Surgeons of Edinburgh reminded me that Conan Doyle's 1885 dissertation for the University of Edinburgh, "An Essay upon the Vasomotor Changes in Tabes Dorsalis," is available online. It deals with syphilis (which also appears as a theme in the Conan Doyle short story "The Third Generation" in Round the Red Lamp, 1894). 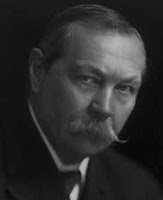 Conan Doyle writes, "It is with diffidence that a young medical man must approach a subject upon which so many master minds have pondered—more particularly when the views which he entertains differ in many respects from any which he has encountered in his reading" (3–4). Vincent Price on BBC Radio 7. Coming up on Saturday, May 23rd on the BBC Radio series The Price of Fear hosted by Vincent Price: "Not Wanted on the Voyage," which examines a woman's power over her secretary and husband. For a limited time, you also can catch a previous episode, "Is There Anybody There? ", which features an encounter between a fake medium and a client. Other episodes in the series may be found here. 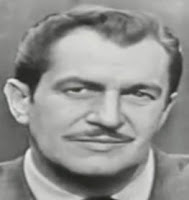 About the image: Vincent Price on What's My Line. The University of Chicago Press, which has reprinted several of the Parker books by Richard Stark (aka the late Donald Westlake), discusses on its blog the latest Parker incarnation: a graphic novel version of The Hunter issued by IDW Publishing. The Comics Reporter has this interview with the artist, Darwyn Cooke. H. R. F. Keating: Forgotten? Pshaw. I find it hard to believe that the Independent calls the 82-year-old distinguished author-critic H. R. F. Keating "forgotten," especially when a new Inspector Ghote novel is due out on our shores this summer. LSU Press: Rough times ahead? Jennifer Howard of the Chronicle of Higher Education reports that Louisiana State University Press, publisher of James Lee Burke's The Lost Get-Back Boogie and distinguished titles in Southern literature and history, faces trouble due to state budget cuts. If it does not receive its usual university subsidy of some $800,000, it faces "really tough decisions," according to press director Mary Katherine Callaway. I interpret that to mean cuts in the publishing program and perhaps layoffs. Playing through May 24th at the International City Theatre in Long Beach, CA, is Mark Twain's 1897 play Is He Dead? in which a poor young artist stages his own death to jack up the prices of his paintings and returns to life as his widowed sister. You can see clips from the play here. The University of California Press published the play in 2003. Is He Dead? is scheduled for theaters in Massachusetts and New Jersey this summer; Chicago, Las Vegas, and Salt Lake City this fall; and Seattle in spring 2010. In the May issue of Fine Books and Collectibles, Jonathan Shipley reports on a new children's book series by Andrew Lane that features a teenaged Sherlock Holmes. The first book is scheduled to be out from Macmillan in spring 2010. Faber turns 80—and Cyril Hare reprints at Faber Finds. Sam Jordison on the Guardian blog discusses the 80th birthday of Faber, which includes reissuing P. D. James's Cover Her Face. Over at Faber Finds, the back-in-print program, works that have been reissued include a number by judge and Golden Age mystery author Cyril Hare (1900–58): Death Is No Sportsman, An English Murder, Suicide Excepted, Tenant for Death, That Yew Tree's Shade (aka Death Walks the Woods), and With a Bare Bodkin. Also reprinted: Hare's The Magic Bottle (a children's book) and The Best Detective Stories of Cyril Hare (introd. 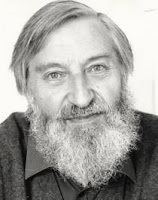 Michael Gilbert). Poe scholar Robert Velella talks about Edgar Allan Poe's relationship to U.S. publishing at the Boston Public Library tonight at 6 pm (sponsored by the Ticknor Society). About the image: William Sartain portrait of Edgar Allan Poe, ca. 1896. Library of Congress, Prints and Photographs Division. Note: This continues my occasional series on the Haycraft-Queen Cornerstone list (those mysteries deemed essential by Howard Haycraft and Ellery Queen). Mark East arrives in a small town during a snowstorm to help an aged archaeologist, Joseph Stoneman, with his book. But all is not well: Stoneman and the servants seem frightened, the children know more than they are telling, and the lady of the house keeps to her room with what appears to be a case of severe depression. Soon the cook dies in a suspicious fire, the maid is strangled, Stoneman disappears, and the butler is carrying a gun. East is revealed not as a mere secretary but as a New York private detective. Lawrence does a superb job with the atmosphere of menace over the entire household, keeping the reader guessing as to the perpetrator. Also marvelous is the portrayal of the supporting characters, town busybodies Miss Beulah Pond and Miss Bessy Petty, who assist East in unraveling the case and do not flinch at danger. 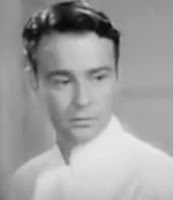 In addition to Blood Upon the Snow, Mark East appears in A Time to Die (1945) and Death of a Doll (1947, called "a treasure of a mystery novel" in 1981 by the New York Times's Mary Cantwell). Baltimore-born Hilda Lawrence (1906–76) also wrote The Pavilion (1948); Duet of Death (1948), which includes two novelettes, Composition for Four Hands (adapted as "The Long Silence" [Alfred Hitchcock Hour, 1963]) and The House; a short story, "A Roof in Manhattan," For Love or Money, ed. Dorothy Gardiner (1959); and a two-part serial, "Nobody Dies but Strangers," Women's Home Companion May and June 1951. More Charlie Chan from Academy Chicago. Today Academy Chicago Publishers releases two more of its stylish reprints of Earl Derr Biggers's Charlie Chan mysteries: Behind That Curtain (originally publ. 1928) and The Black Camel (originally publ. 1929). 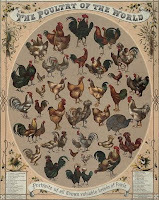 About the photo: "The Poultry of the World," ca. 1868. Library of Congress, Prints and Photographs Division. 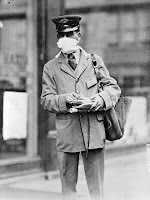 About the image: National Archives photo of New York City mailman, October 1918. 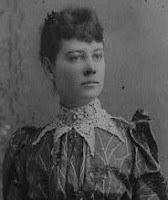 Elizabeth Cochran, better known as intrepid journalist Nellie Bly, was born today in Cochran's Mill, Pennsylvania, in 1864. Best known for beating the fictional 80-day, around-the-world trip by Jules Verne's Phileas Fogg (she did it in 72 days in 1889–90 and met Verne en route), she also managed (in 1887) to get herself committed to an insane asylum so she could write about the inhumane treatment of the mentally ill.
About the photo: Elizabeth Cochran, ca. 1890. Library of Congress, Prints and Photographs Division. Lindsey Davis, Josephine Tey this week on BBC Radio 7. This week on BBC Radio 7: Lindsey Davis's Falco, aka "Sam Spade in a toga," appears in Venus in Copper, and Inspector Alan Grant attempts to solve the mystery of the Princes in the Tower from his hospital bed in Josephine Tey's celebrated The Daughter of Time. Go here for the schedule or to listen. Okay, it has nothing to do with alligators, but somehow the blog Mustaches of the Nineteenth Century—recently selected as one of the Best Archives on the Web by ArchivesNext—seems to me to be right up Bill Crider's alley. 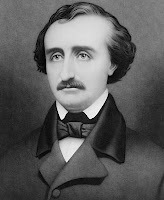 Mystery fans might like the post on Edgar Allan Poe. 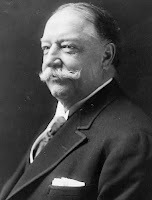 About the photo: William Howard Taft—president, Supreme Court Justice, great mustache. Library of Congress, Prints and Photographs Division. Graphic novel of Richard Stark's The Hunter.